Brother Industries is a Japanese multinational electronics company which produces a lot of products including printers, fax machines, desktop computers etc. Despite it being the manufacturer of a lot of products, it is most well-known for its production of printers in the global market. Brother Printers have also been well-known for their offline problems. 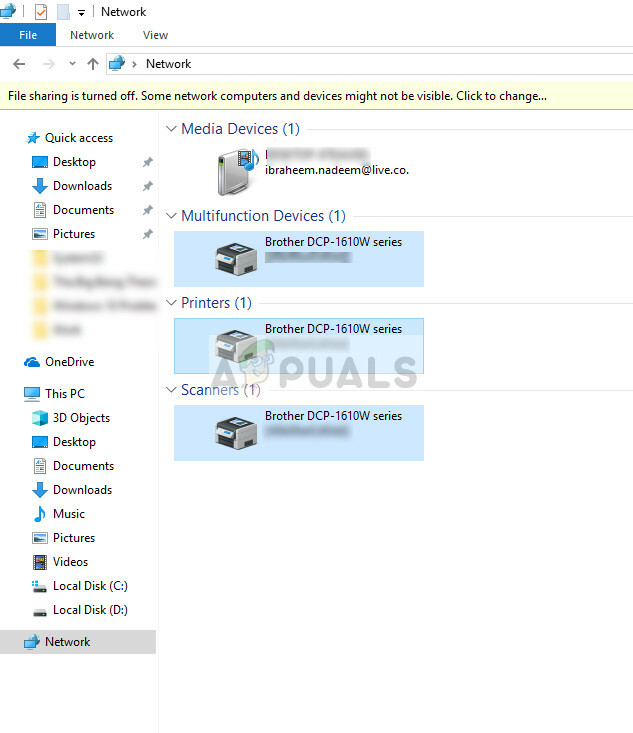 The printer seems to be working fine but appears offline on your computer even though it is connected with the network. This might particularly happen after the printer is connected to the network or is set idle for some time. We have listed down a number of different solutions to this problem. Take a look. One of the simplest workarounds for the problem is setting the printer as default. A printer flagged as a ‘default printer’ is the one where the computer sends all of its jobs automatically without having you to select. 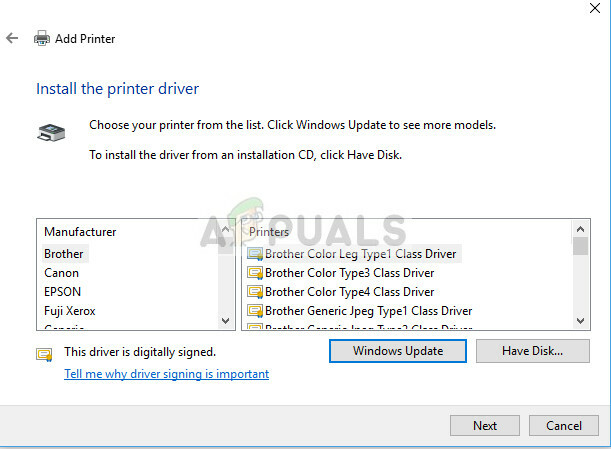 According to official Brother Documentation and numerous reports by users, setting the printer as a ‘Default’ printer fixes the problem. 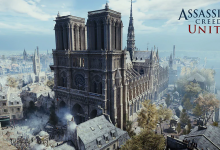 Press Windows + R, type “control” in the dialogue box and press Enter. 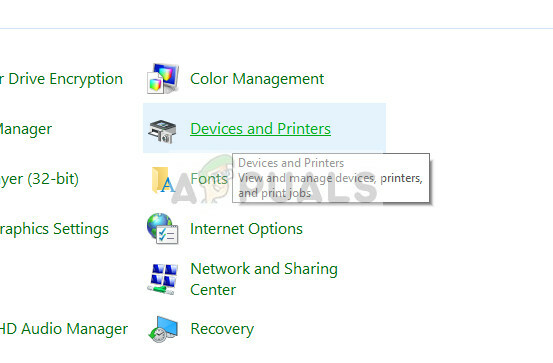 Once in the control panel, select Devices and Printers from the list of sub-options available. 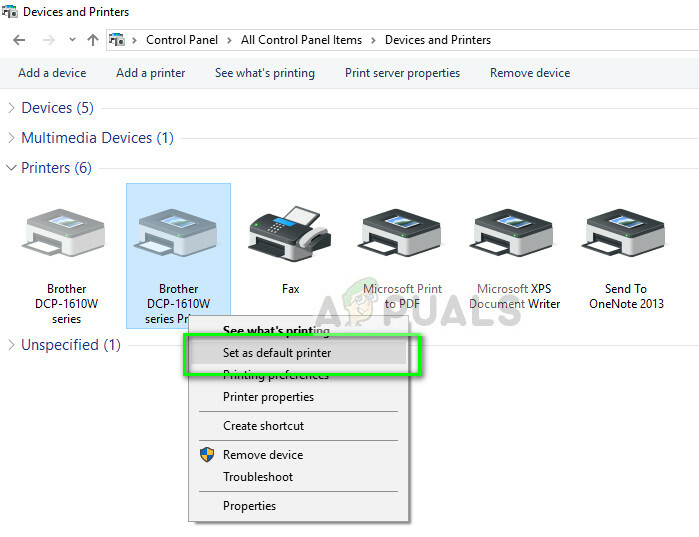 Once in the settings, click on the Printer device, right-click it and select Set as default printer. Now restart the printer properly and check if the printer appears online on your computer. 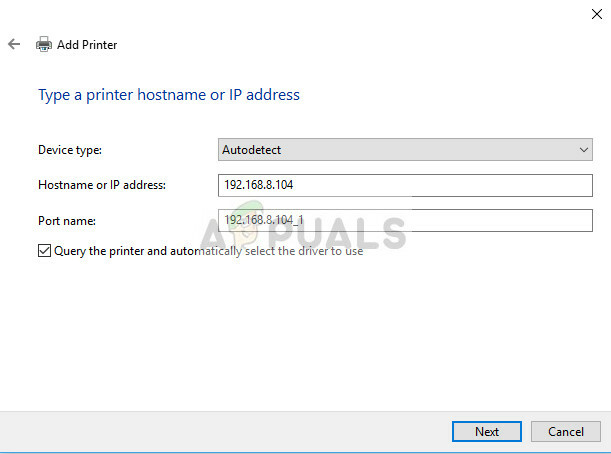 If the printer is set as default but still giving problems, it probably means that the IP address assigned to the printer is wrong or the latest firmware isn’t installed. Latest firmware should in all cases be installed on your printer as it contains bug fixes and support for a later operating system of Windows. Open “My PC” or “My computer” and click on the Network tab present at the left side of the screen. Here the printer will be located. Double-click on it and it will probably install the latest firmware for some models. 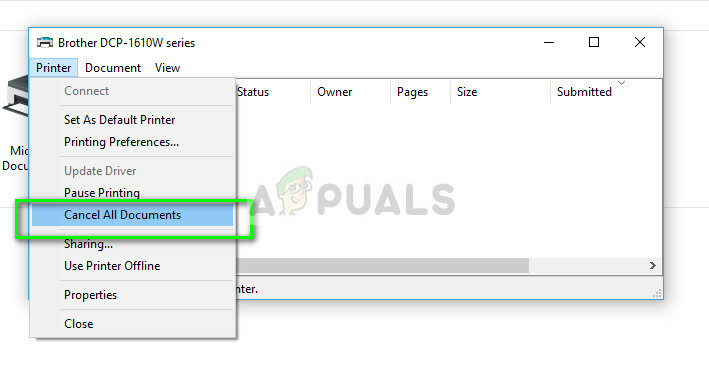 In some, a webpage will be opened in your default browser which will contain access to the printer. Click on the Network tab present at the top of the screen and select the sub-category of Wireless. 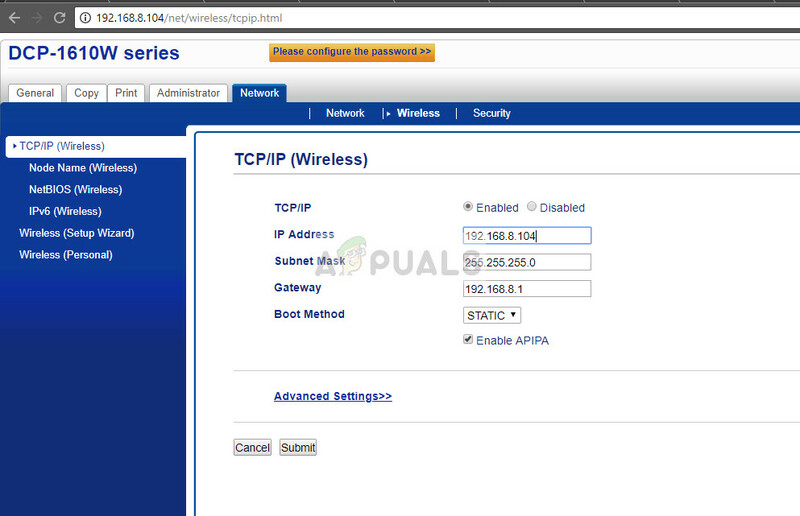 Here the IP addresses and other network related information will be displayed. 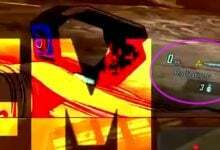 Copy this information. 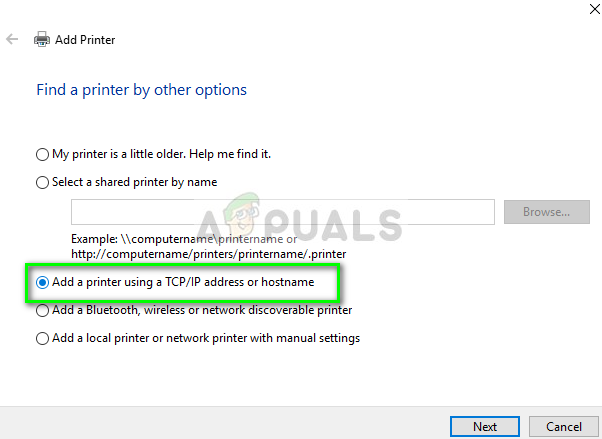 After the addition, check if you can access the printer without any trouble. 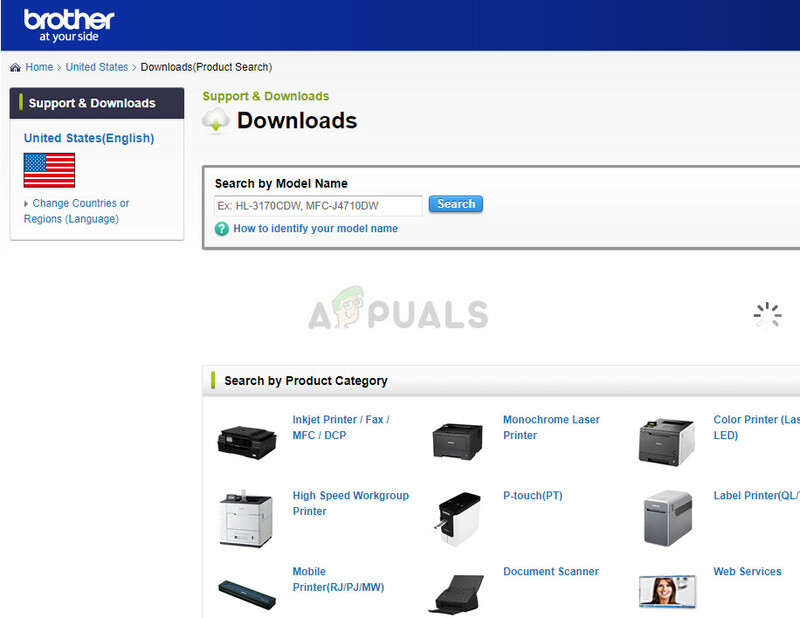 If the firmware isn’t updated automatically, navigate to the official Brother website, locate your printer and install the software required. 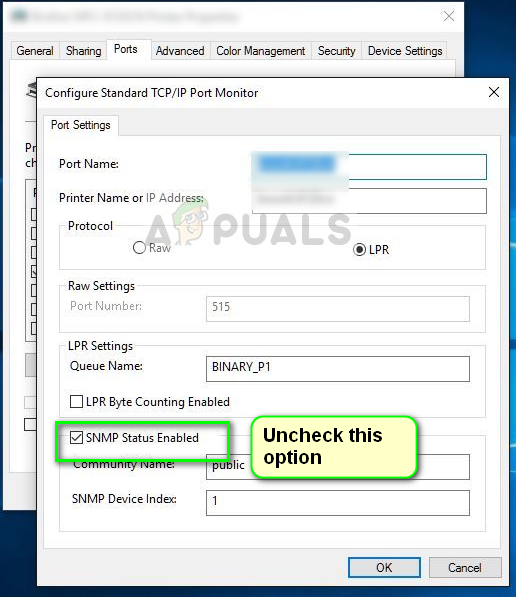 Brother Printer also uses the SNMP protocol (Simple Network Management Protocol) for its operations similar to other printers. 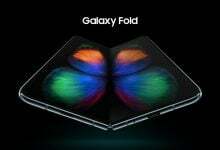 It is used to implement more security and additional functionalities in the connection. 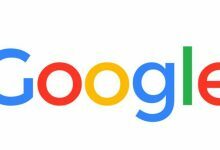 There are many indications which showed that disabling this protocol fixes the problem. Let’s have a look. Antivirus software is known to cause problems for printers to communicate wirelessly with the computer. They add an extra layer on Windows primarily firewall and monitor all the incoming and outgoing data. This antivirus software is known to cause problems with the printer. We can try disabling them and see if this does the trick. You can check our article on How to Disable your Antivirus. Some noticeable products which are known to cause problems with the printer are BitDefender, Avira, and Avast. 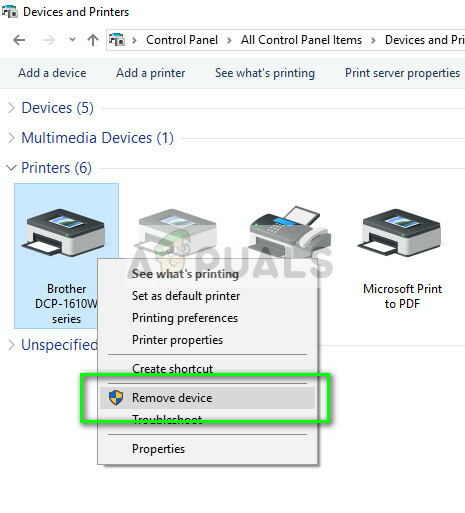 Disable these specifically and try connecting your printer again. 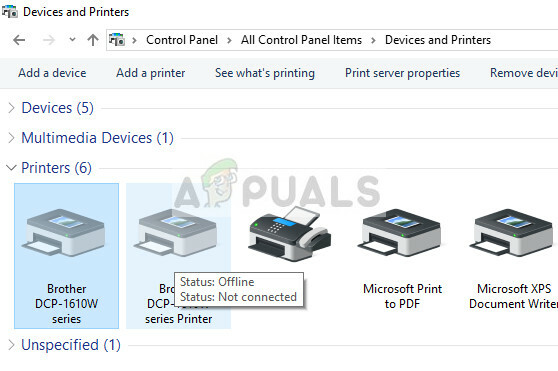 Another workaround is canceling all print jobs which are submitted to the printer and then uninstalling the printer from the system. 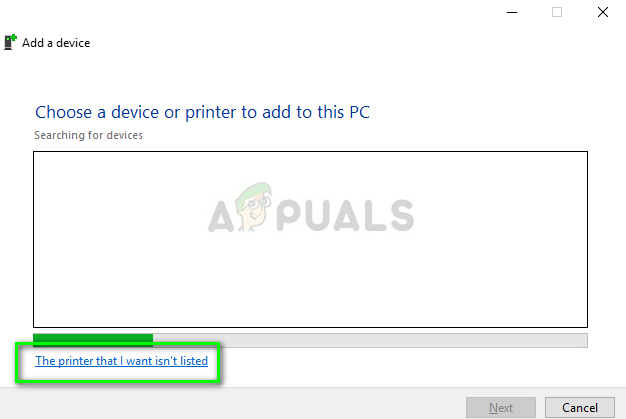 Once the printer is uninstalled, you can reinstall it using the IP Address method which we just covered above. 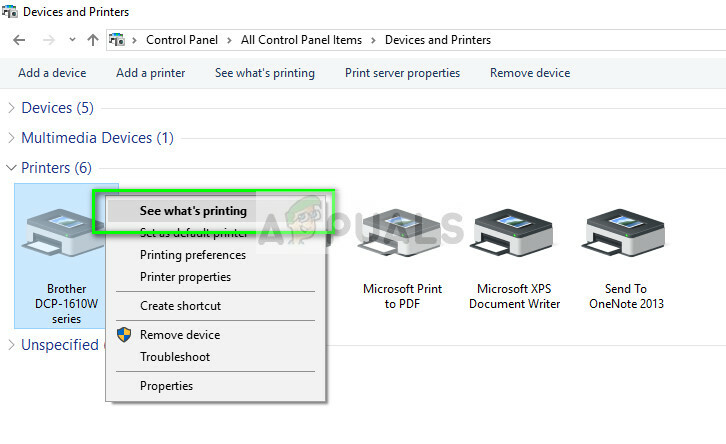 Navigate to Devices and printers like we did earlier, right-click on the printer and click See what’s printing. Power-cycling your computer system entirely. This is known to solve problems where instead of the printer, the computer is at fault. Checking network settings for a timeout Many routers have a timeout period where they close a port if it isn’t used for some time. Disable that setting.